In the yearlong clinical trial, 842 participants, including 750 children and adolescents, were exposed to peanut protein in gradually increasing quantities to reduce allergy sensitivity, under strict medical supervision and starting with minute quantities. The drug and the study were both designed by Aimmune Therapeutics, a clinical-stage biopharmaceutical company. 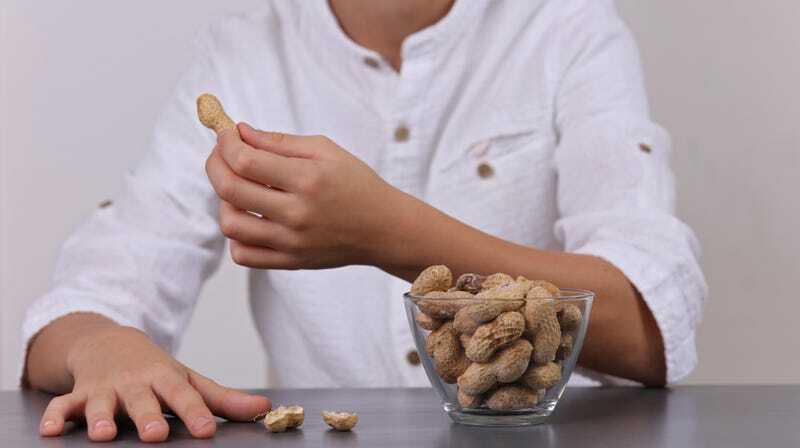 The New York Times states that after six months of treatment and six months of maintenance therapy, two-thirds of the younger participants were able to ingest the equivalent of two peanuts without adverse effects, compared to only 4 percent of the children and adolescents who received placebo treatments. Interestingly, the drug was much more effective with “children and adolescents 4 to 17 years of age. The effect in participants 18 to 55 years of age was not significant.” The Times notes the drug doesn’t “cure” peanut allergies, but could reduce the severity of children’s reactions to small amounts of peanut products. The resulting drug, referred to as AR101 in the study, contained defatted peanut flour designed to help users eventually reduce sensitivity to peanut exposure. It’s important to note that the treatment was not successful for all participants, and some had to drop out due to adverse effects to peanut exposure. Still, excitement for this new drug is so great that “it will receive priority review and go through an accelerated approval process, so it could be on the market by the end of 2019,” according to an Aimmune Therapeutics spokesperson.